If you sold your home during the year, you might have realized a capital gain or profit. Depending on whether your home was your principal residence for each year you owned it or for only some of the years, you might have to pay tax on the gains from the sale. The land on which your home is located can also be part of your principal residence. Refer to the Canada Revenue Agency (CRA) website for more information on the requirements for qualifying land as part of your principal residence. Note: Only one residence per year can be designated as the principal residence between spouses. Did you know? Since your home is considered personal-use property, if you had a loss from selling your home, you aren’t allowed to claim the loss. If your home was your principal residence for every year you owned it, you don’t have to pay tax on the capital gain from the sale (principal residence exemption). Prior to 2016, you didn’t have to report the sale of your principal residence on your tax return. However, starting in 2016, you’ll need to report basic information (date of purchase, proceeds from the sale, description of the property, etc.) on your tax return to claim the principal residence exemption. 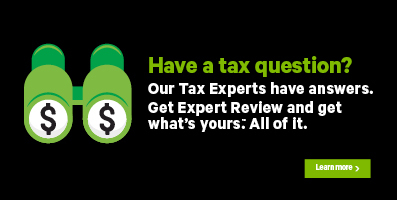 Once these forms are completed, enter the relevant information on Schedule 3 in H&R Block’s tax software. You can find Schedule 3 under the PENSION PLANS AND INVESTMENTS icon on the PREPARE tab. The CRA also requires that you submit the paper copy of these forms to your local tax centre. Note: If you’re the legal representative of a deceased person, complete and file form T1255 to designate their property as a principal residence. If only a part of your home qualifies as your principal residence and you used the other part to earn rental or business income, you have to split the selling price and the adjusted cost base between the part you used for your principal residence and the part you used for other purposes. You can split the amounts based on the area used as principal residence (square meters or number of rooms) versus for other purposes, as long as the split is reasonable. Note: The adjusted cost base is the cost of a property plus any expenses you paid to buy it, such as commissions and legal fees. The cost of a capital property is its actual or deemed cost and capital expenditures, such as the cost of additions and improvements to the property. Keep in mind, you can’t add current expenses, such as maintenance and repair costs, to the cost base of a property. If you change the use of your principal residence to a rental or business property or vice versa, you might have a capital gain or loss. Every time you change the use of a property, you are considered to have sold the property at its fair market value (FMV) and to have immediately bought the property again for the same amount. FMV is usually the highest value you can get for your property in an open market. You’ll need to report the capital gain or loss in the year the change of use takes place. There are exceptions and in certain situations the rules for change in use don’t apply. Refer to the CRA website to learn more on what these exceptions are. Example: Let’s say that you bought your principal residence for $200,000. Two years later, you changed its use to a rental property and the fair market value is $300,000 at that time. This becomes the new cost of your property. The gain of $100,000 in the first two years would be tax exempt since the property was your principal residence. Now, let’s say you sold the rental property three years later for $450,000, you would then have a capital gain of $150,000 and would need to pay tax on this amount as the property was no longer your principal residence. If, instead, you decide to change the use of the rental property to your principal residence again, the fair market value of $450,000 will be the new cost of your property and you’ll still need to report the gain of $150,000. If you sold your principal residence* in 2017, you’ll need to complete the TP-274-V: Designation of Property as a Principal Residence form (as well as the federal T2091(IND) form), to avoid having all or a portion of any profit considered a taxable capital gain. You own the property, alone or jointly with another person. You are not designating any other property as your principal residence for the year. If you fail to provide Revenu Québec with a copy of the documents you submitted to the CRA within the prescribed time, you might have to pay a penalty of $25 per day, up to a maximum of $2,500. Click the REQUIRED icon. You will find yourself here. At the bottom of the Special situations page, answer Yes to the question: In 2017 did you sell your principal residence (or a property that was your principal residence)? Select the applicable option in the list, then click Continue. When you arrive at the Principal residence designation page, enter your information into the tax software. Go to the QC - Principal residence designation page. When you arrive at the QC - Principal residence designation page, enter your information into the tax software.